Milk Man Faces Jail for His Non-Cooperation with State Regulators - Hartke Is Online! Like something right out of the pages of George Orwell’s 1984, Max Kane, a handsome young 31 year old husband and father of 2 (with one on the way) has been deemed an enemy of the state for his advocacy of raw milk and food freedom. Right after the 2nd Annual International Raw Milk Symposium, which he attended, the state of Wisconsin pushed for the third in a series of hearings before a Virquoa, WI judge on Monday, April 19, at 10:30am. This time, the encounter may well land him in jail. The state agricultural officials have been trying, since last fall, to get Max to rat out farmers who are providing raw milk to families by a private agreement. Max has steadfastly refused their intrusions into these private contracts. You absolutely must see the 9 minute video and supporting materials on Max’s new website, rawmilkparty.com. It is a very eye-opening look at raw milk politics at its worst, in Wisconsin, America’s dairyland. Max Kane is not forthcoming with the state based on his belief that the 5th Amendment protects him from giving testimony not only against himself, but against his food supply. Knowing that the intent of the state is to stop the flow of raw milk, Max believes to testify against his farmer would be to testify against himself. His farmer is the life sustaining source for him and his wife and children. Max believes it is wrong to bite the hand that feeds him, and to do so, would also mean certain death. Max at one time had a serious case of Crohn’s disease. With the help of dietary changes, Max regained 80 lbs and reversed this terrible wasting disease. Max conquered his health issue with the healing power of real food. Raw milk was among the many foods he used in his wellness journey. Raw cheese, raw eggs, raw cream, grassfed meat and organically grown vegetables all restored him to health. He also exercises regularly and gets a full night of sleep. Today, Max continues to live a very health conscious life, and this has saved his life. Max, Mark McAfee, and Sylvia Onusic petting a cow. Even today, 50-80% of his diet is based on raw dairy foods. Max believes it is vital to make these foods accessible to anyone who needs them. Max believes that a diseased body is over-acidified. Raw dairy foods are the only foods with the alkalizing minerals, magnesium, phosphorous, potassium, and calcium. These minerals, Max told me, bind with acidic toxins and remove them from the body. As a result of his near miraculous recovery, Max is an avid advocate of farm fresh foods and the American consumer’s right to them. Is it Really a Crime to Want to Be Healthy? Max told me today that, “raw dairy from a healthy, grassfed cow is a complete food, it is dynamic, unadulterated, and a huge ally in overcoming chronic diseases.” He cautions, “All raw milk is not created equal.” People must know the source of their milk, and know that the animals are living a natural life, on pasture and that they are strong and healthy. The Weston A. Price Foundation also advises that the cows are tested regularly with all the standard safety tests, such as tuberculosis and pathogen tests. See realmilk.com for more details. Max recently conducted a survey of raw dairy consumers. Of those queried, 75% of them chose raw milk for reasons of health, and 50% of those surveyed said that they experienced abdominal discomfort when drinking pasteurized milk. Well, I haven’t given this blog’s George Orwell Award (affectionately dubbed, the Un-Wellie) in a while, but I think this questionable accolade needs to be visited on the Wisconsin Department of Agriculture, Trade and Consumer Protection for refusing to back down on their mission of shutting down family farm buying clubs. In light of the fact that a bill is rapidly moving through the legislature to liberalize their states raw milk policy, this agency remains squarely at odds with artisan dairies (and their patrons) over their production of the specialized product, raw dairy for human consumption. Recipients of this award will distinguish themselves by their Orwellian actions, as forecast in George Orwell’s classic political horror novel, 1984. They will either be acting like Big Brother, imposing undue control and monitoring of the citizenry, denying real food to the people, setting up Ministries that do the exact opposite of what their name implies. Winners will exemplify the state of Un-Wellness. Or, they will be Big Brother wanna be’s, attempting to thwart freedoms and impinge on civil rights by advancing totalitarian programs with misinformation campaigns, back room lobbying or monopolizing free markets and keeping small businesses out of their industry. I eagerly solicit from our readers, your nominees for this dishonor. Let Max Know You Are Standing With Him! Max Kane and his family need your help! If at all possible, come to Max’s hearing to show a presence. If Max does go to jail, please join me in helping to support his wife and children. Consider making a monthly donation until such time as he is again a free man. Max and his wife have no savings and live very frugally on $600.00 a week. And finally, publicize this story as much as you can, let’s put these ridiculous actions in the light. 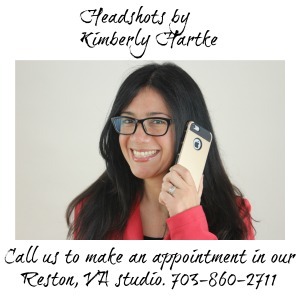 Kimberly Hartke is the publicist for realmilk.com and the Weston A. Price Foundation. Crazy, crazy, crazy!! Thank you for helping this man!! Since my 3 year old has started drinking raw milk, his eczema has almost disappeared. Previously his eczema caused open wounds which would bleed and really hurt my son. He’s been dealing with this since he was 6 months old. NOW… he has relief!! All from RAW MILK!! It is so sad that the government is SO IGNORANT on the health benefits of RAW MILK!!! Despicable. Thank you for being on the front lines. The revolution will not be pasteurized! .-= Rebecca´s last blog ..Sunburn =-. .-= Charles´s last blog ..The evils of Big Corn =-. Thanks for posting this. I work for the Eau Claire Journal and have let them know about this. Without doubt,my nominee for the Orwell award is the Wisconsin Department of Agriculture, Trade, and Consumer Protection. George Washington said;” Government is a poor servant and a harsh master.” This department proves the truth of his words.They embody the very worst of government, destroying the businesses of small farmers while denying the people of Wisconsin the right to choose their own food..They are a disgrace to Wisconsin and have no place in the United States of America. .-= Stanley Fishman´s last blog ..Two Simple Rules for Good Nutrition =-. I agree with Charles. Why call such a lovely beverage “raw.” How about farm fresh milk, real milk, or fresh milk ? In Slovenia it is called fresh milk and everyone knows that it is from the farm, unpasturized or otherwise tinkered with. When we think about rawm we think about bloody red meat which is raw until it is cooked, only then is it consumed. Eating raw meat is considered by most people rather unappetizing so i dont think that applying “raw” to milk is really appropriate since the milk is really delicious. This is so sad !! Shame on you United States of America. Where is the freedom of choice ???? Hundreds of young people die weekly in the streets of Chicago from shooting and government does nothing about it. So much of taxpayer money is wasted on this issue. This is worse than communism and I know it. I lived in Poland for twenty some years, and the government did many bad things but prohibiting selling raw/fresh milk was not one of them. Big corporations are behind it and big Cheese companies in Wisconsin. They know it can hurt their sales big time if this goes legal. They will pour millions to fight it. so how could it be fresh? “Fresh milk” does sound so much better. Fresh milk! That is what I’ll call it from now on. Thanks Sylvia and Stanley! Swavek – yes, our freedom is largely illusory. And lobbyists call the shots in most legislatures. The only thing that gets a politician’s attention is the threat of losing his or her seat. Heritage food can be a unifying factor in forming coalitions that has the potential to be a formidable voting bloc. .-= Charles´s last blog ..Ronald Reagan and James Dean =-.